Steve Bowen, PlastiComp president and CEO, interview with Winona Daily News, Sunday, September 4, 2011. PlastiComp, Inc., has formulated long-fiber thermoplastic materials (LFT) that provide up to 70 dB shielding in the megahertz and higher frequency ranges. These materials were developed for parts and enclosures in consumer electronics. PlastiComp’s long glass reinforced TPU (Thermoplastic Polyurethane) compounds (pellets) has received NSF approval. PlastiComp has expanded the versatility of the Pushtrusion Direct In-line Compounding technology beyond injection molding and is now able to offer customers a D-LFT (Direct Long Fiber Technology) compression molding solution. The Pushtrusion D-LFT system produces hot charges of customized fiber reinforced compound that can be transferred to the compression press and immediately pressed into finished parts, eliminating the need for GMT sheet. PlastiComp announced the successful application of its long fiber thermoplastic (LFT) technology to high temperature polymers such as PPS, PES, PEI, and PEEK reinforced with carbon fibers. These new composite materials have potential for further penetration into traditional metal applications requiring very high modulus. PlastiComp announces an exciting advancement in the development of direct in-line filament winding (D-FW) of fiber reinforced thermoplastic compounds. PlastiComp’s unique pultrusion process enables the company to introduce D-FW materials that offer improved benefits to customers at a significantly lower cost compared to competitive products. PlastiComp announces a breakthrough in long fiber reinforced thermoplastic (LFRT) compounding with the introduction of its advanced line of Complet® composite pellets. The new LFRT technology solves several manufacturing problems by providing improved product consistency in a “single pellet” solution. Complet incorporates into one complete compounded pellet the total LFRT portfolio including impact modifiers, additives, and colorants. Increasing customer demand for Complet® long fiber reinforced pellets provides expansion opportunities for PlastiComp. The new LFT pellet line will increase the company’s annual pellet capacity with an additional 3-5 million pounds. Based on PlastiComp’s rate of growth, the company has planned similar expansion for each of the next several years. 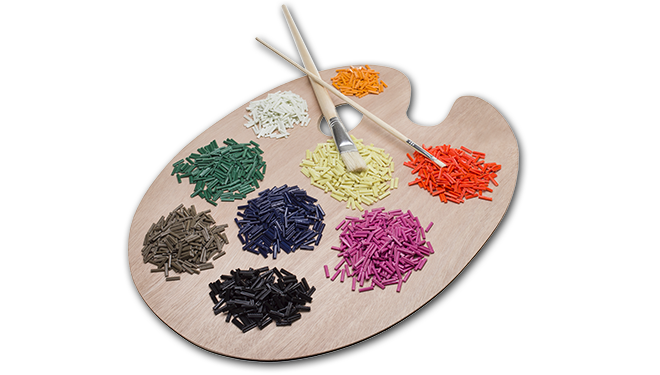 PlastiComp announces an additional compounding line for Complet long fiber reinforced thermoplastic molding pellets in response to growing interest from customers who value our unique approach to materials technology. The new production line for Complet pellets boosts site capacity by 3 million pounds per year and provides versatility to quickly respond to unique requests and reduce lead times to less than 10 days. 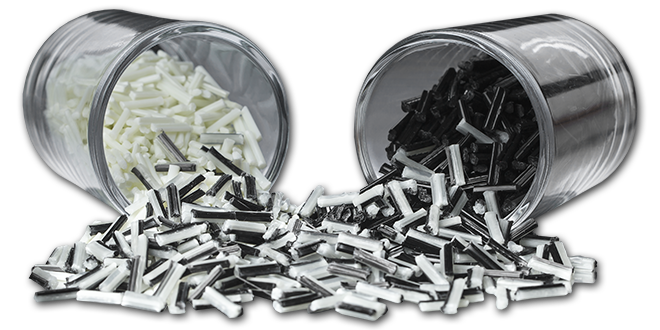 Using proprietary production technology, PlastiComp, Inc. is offering LF pellets in most thermoplastic matrices reinforced with glass, Aramid, carbon and other continuous fibers. Initial production is now underway at PlastiComp’s Winona, Minnesota facility, and additional capacity is planned for 2005.